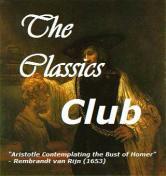 The wonderful Classics Club is hosting a Classics Spin! Pick 20 books off your Classics Club List. On Monday (the 18th) they will announce a random number and you have to read that number off the list you created sometime before April 1st. I’ve listed a mixture of books I’m dreading, ones I’m looking forward to, very old ones, relatively new ones, big ones, small ones, etc. Can’t wait to see what I’ll be reading! **UPDATE: The winner is #14 The Cement Garden by Ian McEwan! You have picked some wonderful books for the spin; I'm so curious to see what everyone's number will be. I should do this. I've been having a difficult time deciding what to read next lately. It'd be nice to have someone else choose for me. I have a couple of your titles on my list. Hope the spin will give you something you will love. Whitney - Me too, it's kind of fun not to know what I'll be reading next. Kristi - This would be perfect then! Cat - I hope so! Even if it doesn't, maybe it will give me the push I need to start one I'm dreading.